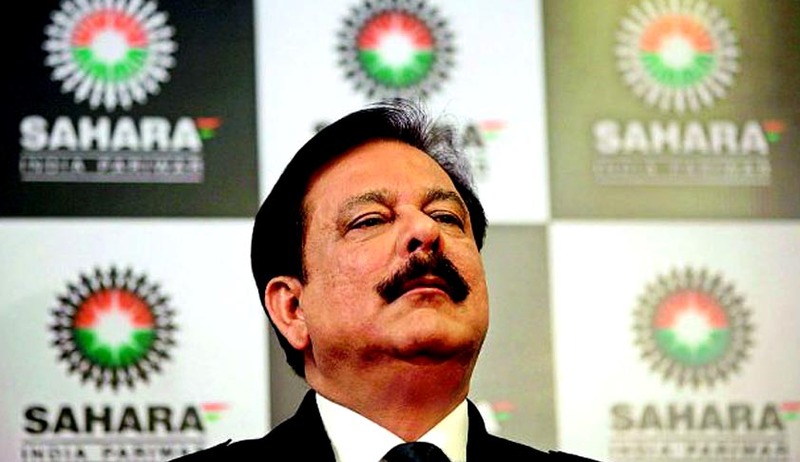 Sahara stalwart Subrata Roy has at last received a breather from the apex court. In a slender respite for the group, Sahara Chief and two Directors have been allowed to stay in and use the conference room at the Tihar Jail in Delhi for 10 days in order to negotiate the sale of his properties, which include the luxury hotels in New York and London. The order was reportedly passed by an apex court bench comprising of Justice T.S. Thakur, Justice A.R. Dave and Justice A.K. Sikri. According to the Court’s orders, Mr. Roy can bring in a desktop computer, one mobile phone and two laptops. Two secretarial assistants and one technician will be allowed to help them from 6 am to 8 pm on these 10 working days. The Tihar Jail will provide video-conferencing and internet facilities, for which Sahara will pay. Roy’s lawyers had pleaded that he needs to be able to meet with representatives of prospective buyers and conduct negotiations through videoconferencing. The Bench has asked the Delhi Government to issue notification by August 4 for converting the conference room into jail. The names of the prospective buyers will have to be given in advance and they would have to undergo usual security drills including frisking. All other rules and regulations will continue to operate as per the jail manual. The bench passed the directions after recording the accord reached between Sahara, Tihar jail authorities and SEBI. The Bench also pondered over the Rs 10,000 crore income tax demands raised against Sahara by the Revenue Department. Additional Solicitor General Tushar Mehta replied in the affirmative when asked whether the tax demand was raised on the unaccounted money of Sahara. The bench and the lawyers appearing for all sides including senior advocate Harish Salve for Sahara and SEBI's senior counsel Arvind Dattar agreed that on payment of penalty on unaccounted amount, the money remains with the tax payers. The Bench was informed by Mehta that a random survey was conducted. In many cases the tax department did not locate the investors and even if they found addresses of some they denied making any investment. In a bid to find respite for Sahara Chief, Salve had earlier told Court, "These are big ticket properties. These are working hotels buzzing with activity. The buyers know it is a kind of distress sale. Roy wants to minimize the impact on the price it should fetch in the market under normal circumstances. These are so high-value properties that money (needed for meeting interim bail conditions) would come in one shot and he does not have to sell the assets in India." This Bench, again on May 6, had penned the noteworthy judgment which had lengthened the Chief’s stay under custody. Read the Livelaw story here.